» Gun Dogs from Fabled Lands RPG Creator & Lone Wolf Illustrator! Gun Dogs from Fabled Lands RPG Creator & Lone Wolf Illustrator! Anyone paying attention to our Temple of the Spider God press release last week may have noticed a rather interesting couple of paragraphs near the end, namely the collaboration with Greywood Publishing and Gary Chalk on a brand new series of gamebooks called Gun Dogs! 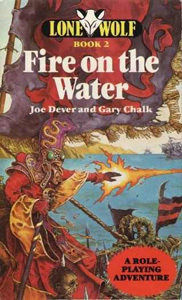 – Gary has been illustrating children’s books for years with many publishers and is also a big wargamer and RPG gamer. His first stab at commercial game design came with Cry Havoc, a skirmish boardgame set in medieval Europe. This made enough of a splash to get him a job at Games Workshop! Lone Wolf is still regarded as one of the finest gamebook series ever created! – While at GW, Gary designed all the components for the very first version of Talisman and also the complete game (including rules) for Battlecars and Battlebikes. 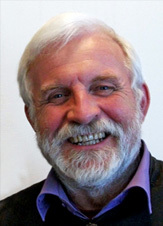 – Gary is best known for creating Lone Wolf with Joe Dever, which became an international hit, selling in 15 countries! – One of Gary’s latest projects has been The Sundered Lands (known as The Six Crowns in the U.S). You can see the awesome artwork on his gallery site. – Gary has been married to Yin for over thirty years and lives in “a draughty old farmhouse in Normandy”, France, with two ginger cats and a garden full of geese! Formed in 2007, Greywood is named after a town in the co-founder’s original D&D world during the 1980s! – Jamie Wallis was involved with the d20 versions of the Fighting Fantasy series for Myriador. – Greywood and Gary have recently been creating the Lone Wolf boardgame. The wargame is set in the world of Magnamund and more information can be found here. – Greywood have created and published a number of print-based role-playing systems including the QUERP (Quick Easy Role Playing) RPG system and most recently they have released the Fabled Lands RPG along with the Sokara – War-Torn Kingdom Sourcebook to great acclaim! The second expansion guide, Sokara – Cities of Gold and Glory will be available early 2012. 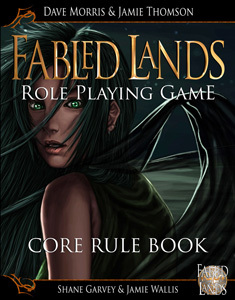 Fabled Lands was a famous gamebook series in the 90s. Originally planned as a twelve-book series, only six were released between 1995 and 1996. 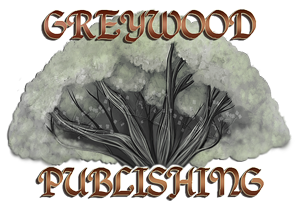 For more information about Greywood Publishing’s products, wander over and check out their great website at www.greywoodpublishing.com! Gun Dogs is well underway now and we’ll release more info about it the closer we get to release (which will be sometime in 2012). We will also be showing off some of Gary’s awesome artwork over the coming months too, so remember to bookmark the blog! Great News. Should be awesome! Can’t wait to see some of the artwork. This is a big coup – I think you hinted at it on the site in a reply to one of my posts a few months ago (although it could have been something utterly unrelated..).